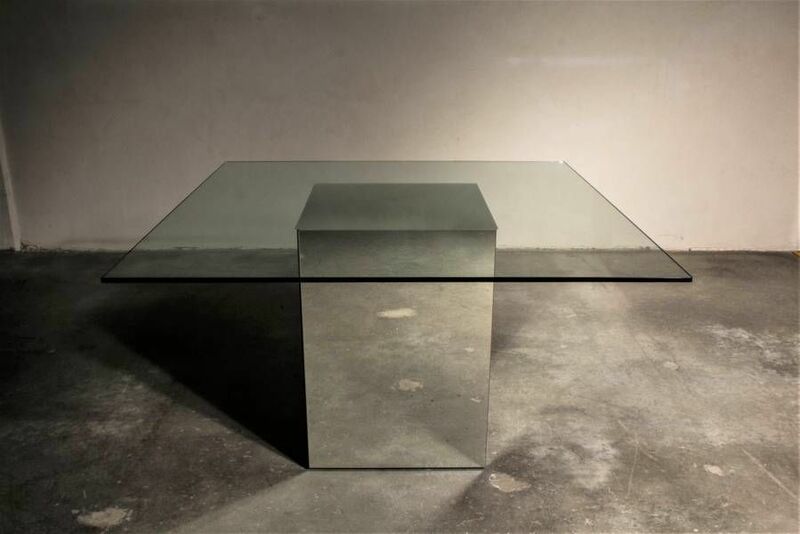 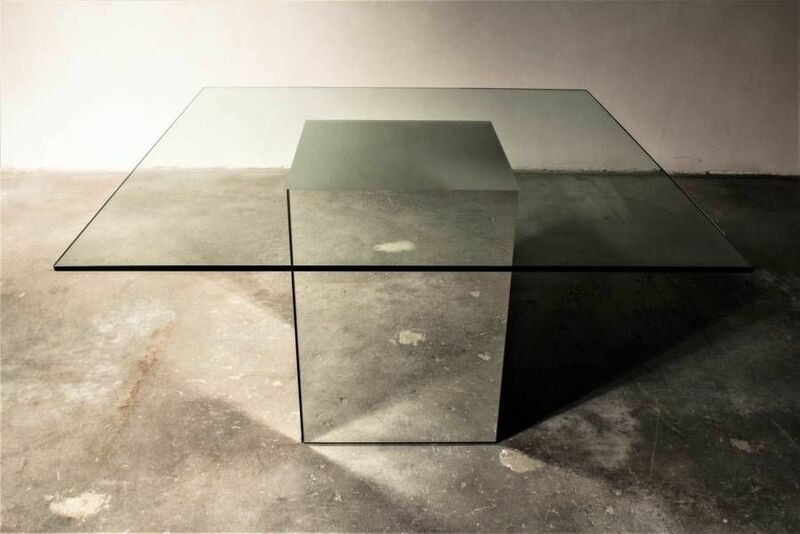 Vintage Block Table by Nanda Vigo for Acerbis | Castorina & Co.
"Blok" dining table designed by Nanda Vigo for Acerbis 1971. 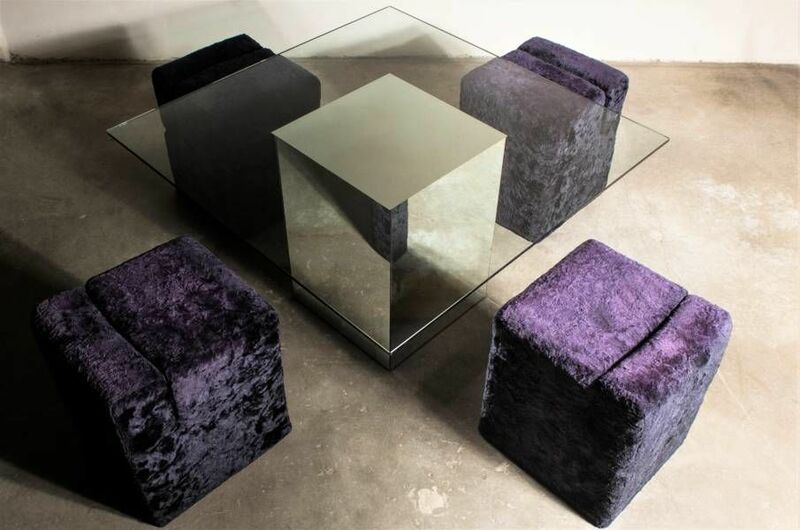 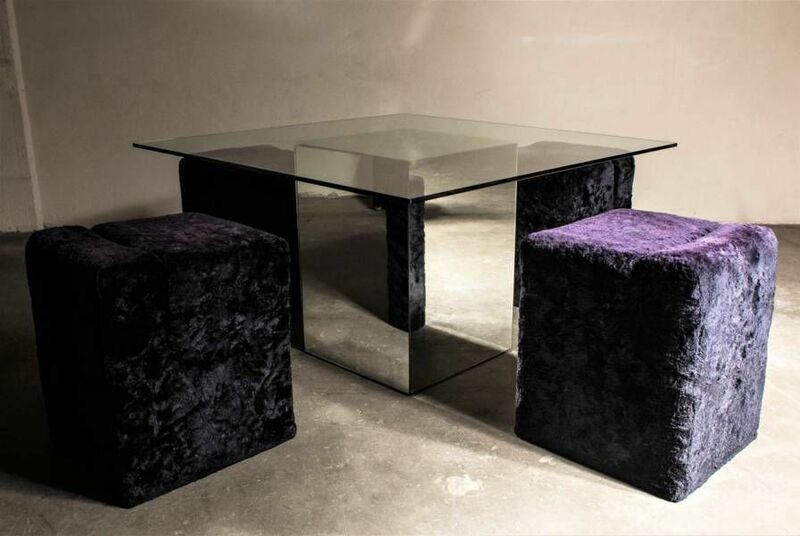 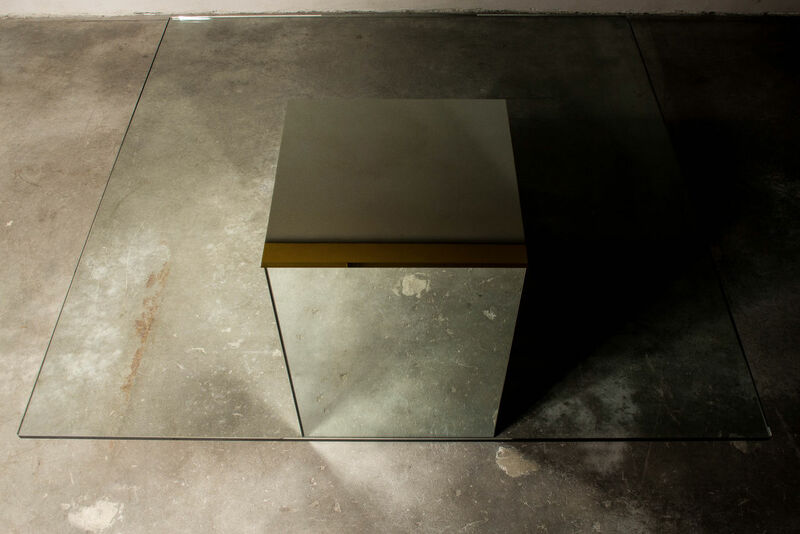 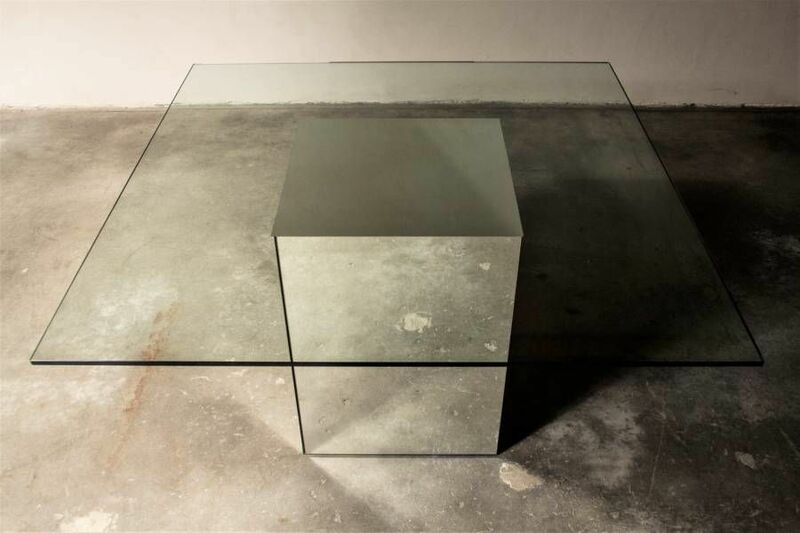 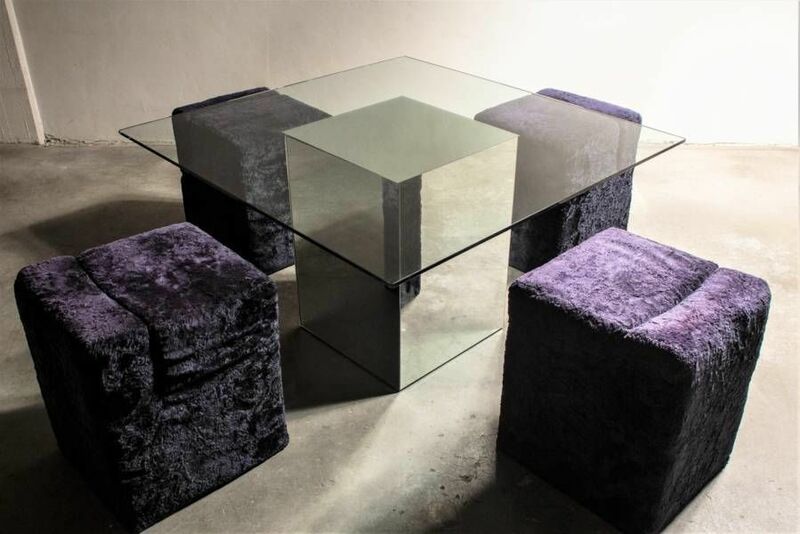 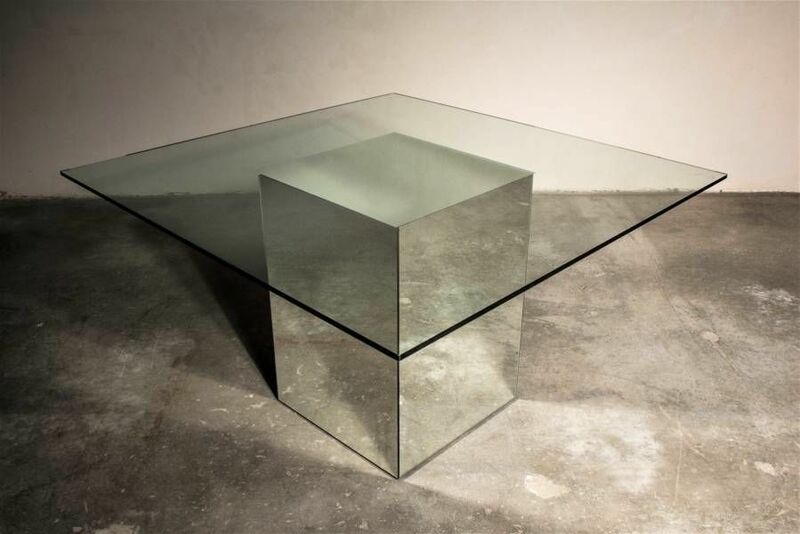 Square table with central base consisting of a lead glass removable "Block" (attached by articulated hinges). 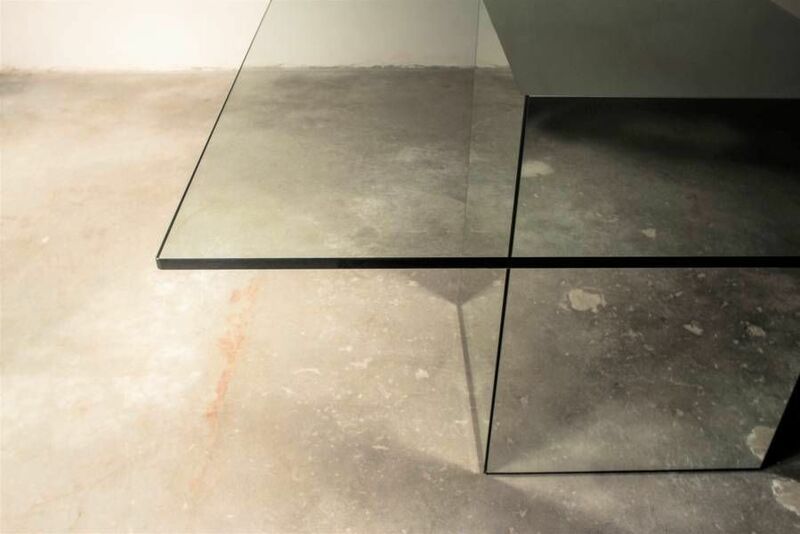 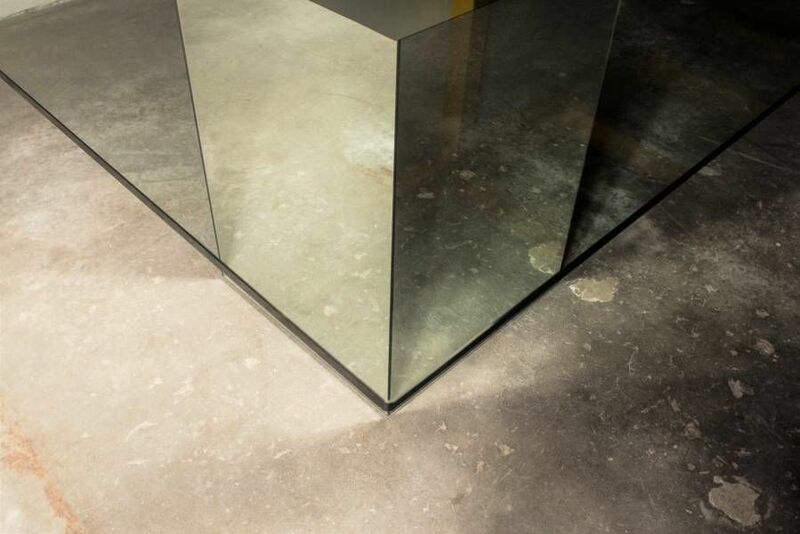 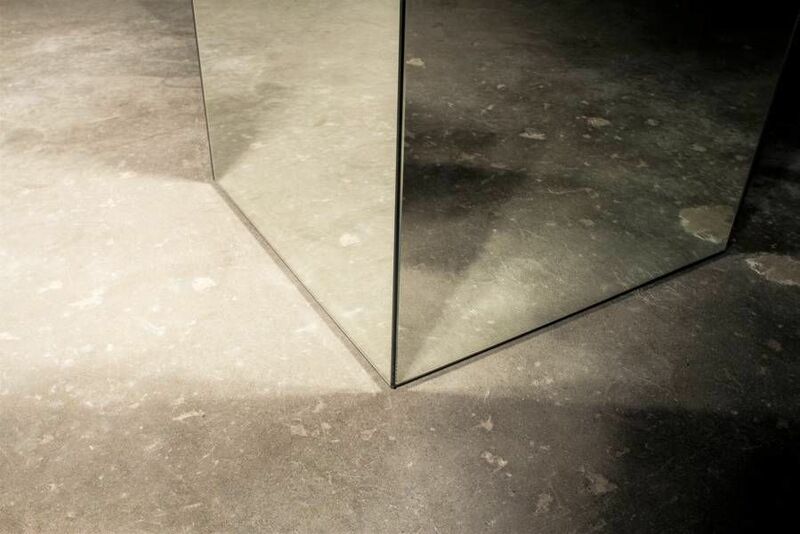 The glass top rests on the block via a guard rail that guarantees perfect stability.